I think I’ve saved the best play invitation for last! How so? Because this post is all about capitalizing on your child’s interest and turning their favorite character/costume into a play activity. What’s that? 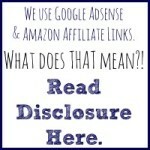 You’d like to see an example? I thought you’d never ask! My girls are going to be pirates this year, but we don’t run into many pirates in our town; we must learn about pirates in other ways. Of course we love books. 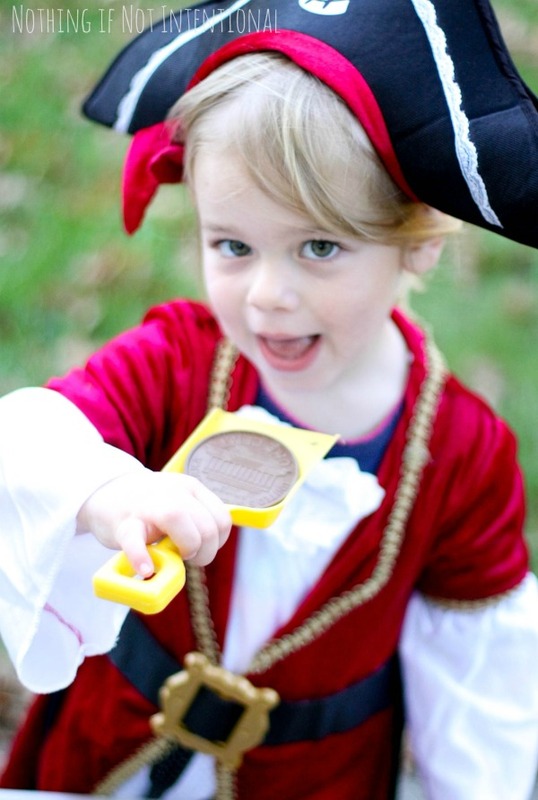 (Check out this list of 10 Pirate Books from Fun-A-Day). But hands-on experiences will stick with them for a long time. 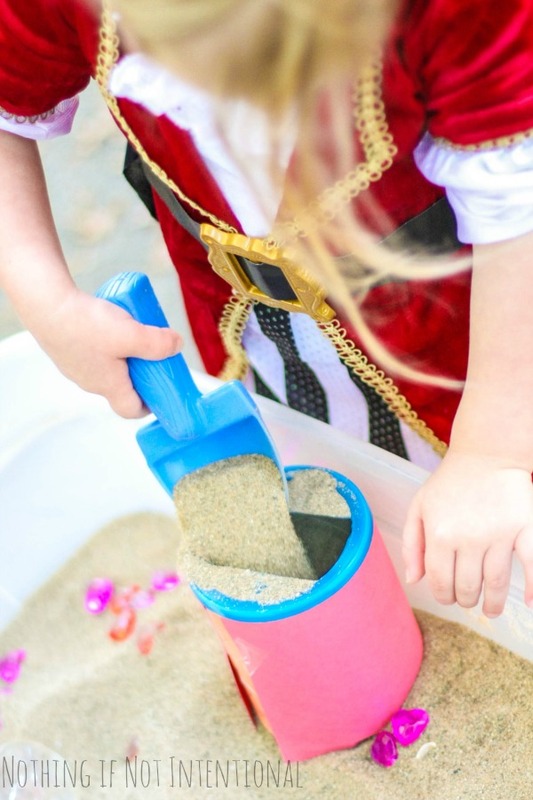 To help my girls play like pirates, I set up this simple play invitation: a buried treasure sensory bin. Our big kid insisted that she dress like a pirate for her pirate playtime. (She also insisted that she eat beans for dinner, because “Pirates eat beans to make them strong.”) Sounds legit to me. Later, when she remembered the name, she proudly announced, “Mommy, did you know that SWORD rhymes with BOARD?” That’s my girl! Her word obsession makes this mama proud. 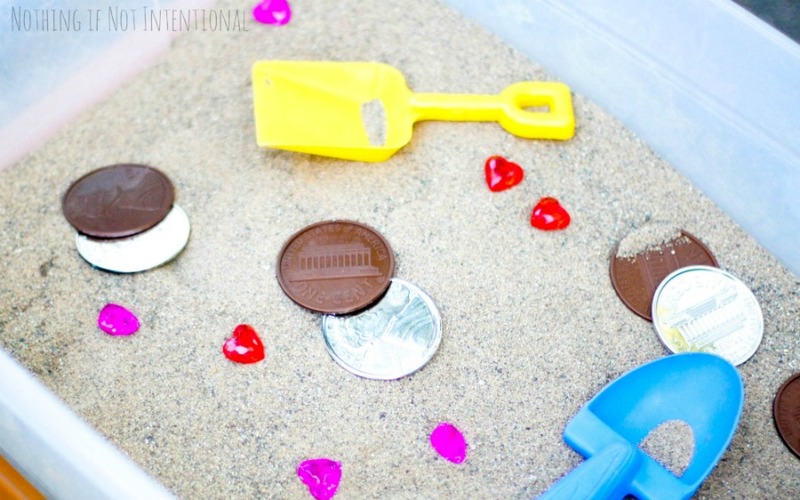 I thought the bank would be used for the money, but it ended up being a great container for sand. 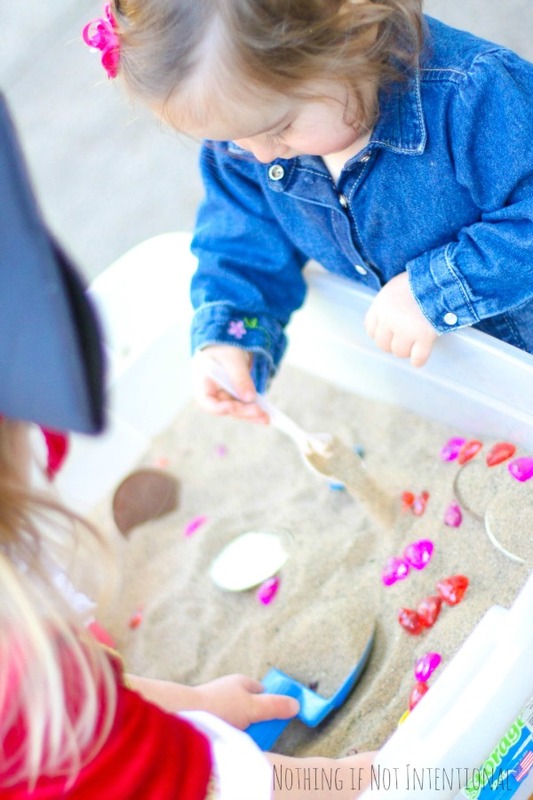 Again, the beauty of play invitations is that the kids determine the direction of the play. Our littlest pirate wasn’t so keen on her pirate hat. But she loved the sand. And the little plastic money. 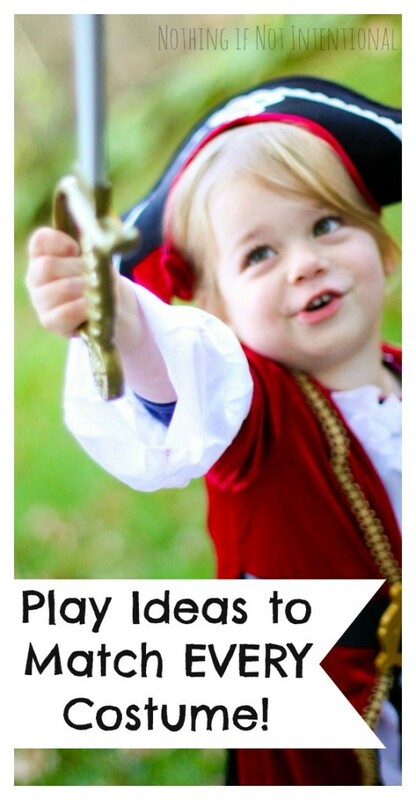 Okay, so these ideas are fine and good, but what if your kids aren’t dressing up as pirates this year? With a little brainstorming, I think we can come up with simple play invitations or sensory bins for most characters and costumes! If you can find small figurines to replicate the character or costume, you’re all set to make a killer sensory bin play invitation! Animals are the first thing to come to mind. 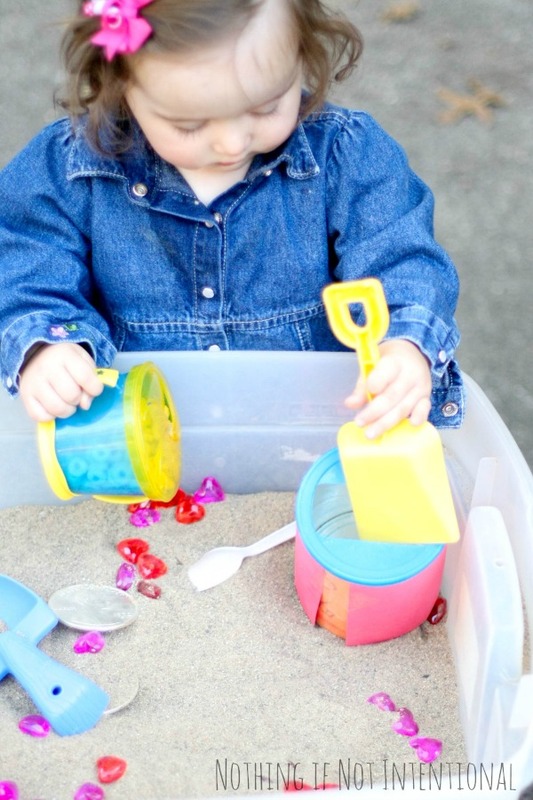 If your child is a cow, pig, horse, cat, monkey, dinosaur or lion, scour your house for little creatures that could be added to a bin filled sand or ground coffee (both of which look a lot like dirt). 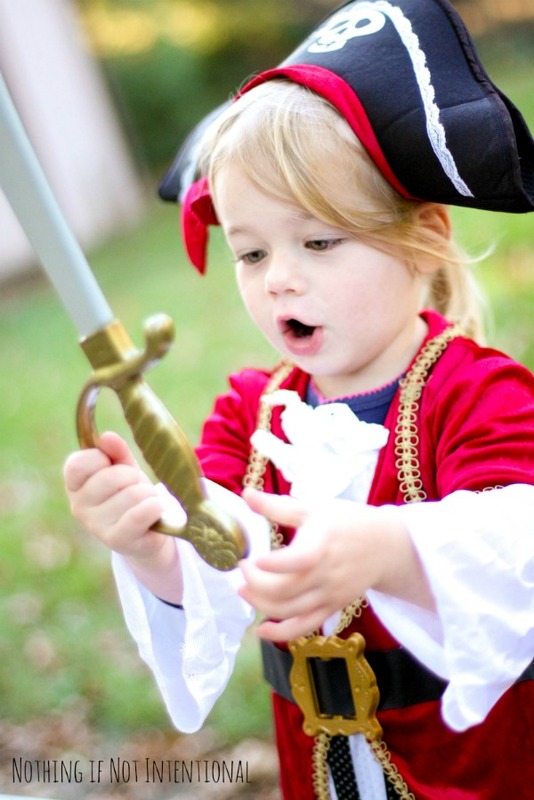 If you can’t track down figurines to match your child’s costume, try coordinating colors or themes. For instance, a tray filled with black and yellow pom poms would be a fun texture for a little bumblebee, and a bin made of dyed red rice could be a great place to start for an Elmo sensory bin! How about gemstones, rings, and jewels for a little princess? A bean bin (like this one) with machines and trucks would be great for a construction worker. Football players could try this football sensory bin from Fantastic Fun and Learning. Water or water beads (like these) and aquatic animals would be fun for a mermaid. Your butterfly might like playing with “butterfly” pasta like in this post from No Time for Flashcards. A few miniature cars would be inviting for your little Lightening McQueen. How awesome would it be to fill a bin with silly string and Spiderman action figures? Coal and water play (like this one from Play Trains!) would go over well with a little train engineer. Even inanimate objects get in on the sensory fun–check out this candy corn idea from I Can Teach My Child. Let your little owl explore a nest of fake feathers, grass, and sticks. A bin filled with hay and corn would be a good place to start for a scarecrow. Little pumpkins will like this pumpkin-themed water bin from My Nearest and Dearest or this pumpkin patch idea from Buggy and Buddy. And if I haven’t mentioned your child’s character or costume, check out this post from Blog Me Mom for ideas for witches, spiders, and ghosts! Okay, are you still with me? That was a lot! I hope these ideas can help you turn your child’s current compulsive obsession passion into a hands-on play experience! Now I did say that this post had play ideas to match EVERY costume. If you don’t see your child’s favorite character on this list, pop on over to the Nothing if Not Intentional facebook page or leave a comment here to let me know what your child will be for Halloween. We can come up with a fun play invitation together! 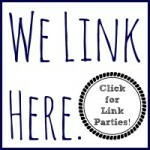 Last but not least, these other play invitations from my fellow blogging buddies are definitely worth checking out. Their new posts never disappoint, and I’m so grateful that they let me join them in this series! Halloween Carnival Pom Pom Trees by Play Trains! ← Halloween Art–Invitation to Create with Edible/Baby Safe Paint! 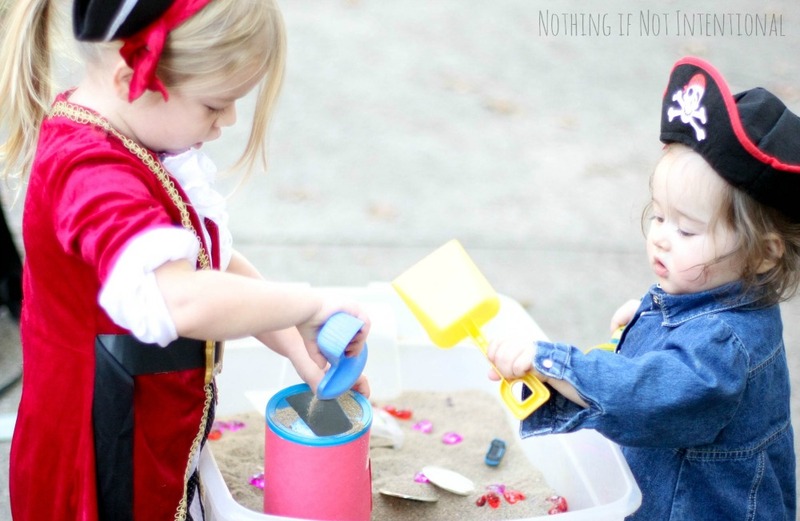 Pingback: Halloween Sensory Play - Haunted Pumpkin Patch - Fun-A-Day!